Due to serious injuries from the last WEC 51 event, a list of suspended fighters was issued. They are all suspended to be checked by doctors and to recover. This might sound to be an unfortunate event but it is for the good of the fighters. Colorado Office of Boxing suspended eight fighters from last week’s WEC 51 event. Unfortunately, half of them might be out on the game for whole six months. Among those who might be in serious half-year suspensions are main-card fighters Jamie Varner and Mark Hominick and preliminary-card fighters Mike Brown and Antonio Banuelos. WEC 51 will take place Sept. 30 at the 1STBANK Center in Broomfield, Colo., and the night’s main card to be aired on Versus. Varner, who lost via decision to rival Donald Cerrone in the night’s co-headliner, is suspended 180 days but can be cleared early by an attending physician. But, he still faces a mandatory suspension of 30 days. Hominick, who had a split-decision win over Leonard Garcia, and Brown, are both suspended 180 days. Their injuries weren’t told, but both can be cleared early by a physician. As well as Banuelos, who tapped Chad George via submission. But just like Varner, he is facing a mandatory suspension of 30 days even if he’s cleared early. 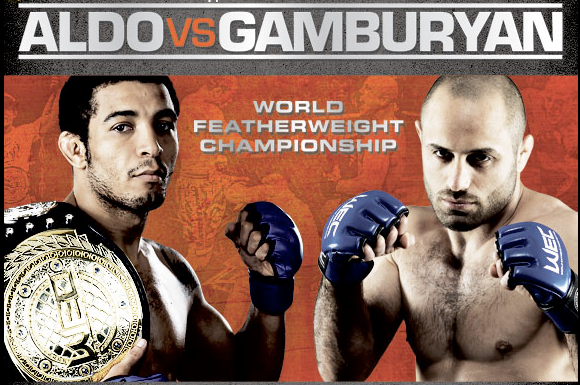 Other fighters who received mandatory suspensions for precautionary reasons were main-event loser Manny Gamburyan (90 days) and main-card loser Chan Sung Jung (90 days), who both suffered knockout losses (to Jose Aldo and George Roop, respectively). George (60 days) and Province (30 days) also face mandatory suspensions.